True story: I first saw Event Horizon on a date. I was 16, so was he (this was the 90s, when you could go see an R-rated movie without a parent after 7 PM). It was our first official date, and we were quite the young couple that had to hold hands and be all cutesy in a theatre. He told me that if I got scared, I could snuggle in closer. By the end of it, we were actively leaning away from each other. No human contact for us, thank you (and no, nobody got laid at the end of that date). It’s a great film, don’t get me wrong – but I need to work up the courage to watch it, as, deep down, I am still the cringing 16-year-old that distrusts Sam Neill. So, how does one cope nearly 20 years later? By looking at the other pieces, particularly the underlying themes of science and mythology that clue us in to just how inevitable the doom of the mission really is. Stay the hell away from me, Sam. 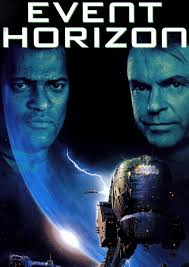 The introduction of the film tells us that in the year 2040, the ship Event Horizon disappeared just beyond Neptune, which, from a planetary level, tells us a lot more about what we’re in for than meets the eye. Fun fact: Neptune is not discernible by the human eye unaided, which means that in order to find it, you not only have to actively search for it, but you must also have something outside of your perception to help you see it. From the get-go, science is telling us that we won’t be able to rely on our senses alone in order to figure out what’s going on. 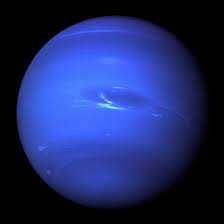 Likewise, Neptune is one of the coldest planets in the solar system due to its distance from the sun, and houses something mysterious: Great Dark Spots, much like the spots on Jupiter. The storms have been known to disappear as well, with a noted Great Dark Spot vanishing in November 1994. So from a purely scientific standpoint, Neptune – our last point of scientific reference for our ship – is a place that has seen some strange disappearances when it’s actively monitored. It’s also filled with an atmosphere that’s composed of hydrogen, helium and methane, and has a structure that runs down from clouds to water/ammonia to an iron core. This place is toxic on all levels to humans, making it the absolute wrong place to wind up. And yet, this is where our ship disappeared: just past the watery, noxious gateway of physical hostility, we lose sight of something we actively had to keep our eyes on in order to see. This means that our very history and setting in this film are setting us up to be distrustful. This is where science begins to move toward mythology, as Neptune takes on deeper meaning in context of Roman myth. The namesake of our last stop before Hellsville stems from the Roman god of the sea, which is the often seen as the meeting point between heaven and Earth. It would appear that the planet selected is significant because it references the very portal that the ship’s gravity manages to open: hell. Digging a little deeper, though, the reverence of the god Neptune makes it a far more fitting gateway than any other planet’s moniker. The cult of Neptune often sacrificed bulls, which meant that the god of the ocean was far more prestigious and therefore merited a heftier sacrifice. Likewise, the bull and the ocean symbolized the combination of male virility and female sexuality, making it symbolically necessary in order to retain the cycle of life. The ocean is necessary, or else the human race ceases to exist. This makes far more sense than having the gateway to hell exist outside of the mining operations on Mars within the film. Despite that Mars is the Roman god of war, Mars did not have the pull to function as the meeting ground of heaven and Earth – Mars represented strife and chaos, not a fracture between two realms that could be traversed. Mars was a little too obvious, so it was left to be a mining planet; Neptune, though, had the watery chaos necessary to conceal the gate between this world and an unknown dimension. It was the perfect, unsuspecting cover. No one wants to think that the ocean – something blue, comforting and life-giving – could house the pathway to something evil and cruel. So where does this come together? Ultimately, we have two forces working to connect with one another: he male, scientific Weir (Neill) and the female, symbolic Claire (Holley Chant). Both seek each other out in this area of space: Weir is attempting to assuage his guilt for her suicide, guilt that stemmed from the building of a spaceship that would traverse the universe in the quest for more knowledge, to find more things that could not be seen. Claire, on the other hand, died because she could not stand living in science’s shadow. She represents the supernatural element of the Roman god element, and ultimately, she wins. Science (Weir) cannot live without the emotional fulfillment of the spiritual (Claire), despite that it is dark and corrupted. It’s missing eyes – it literally lacks the ability to physically view the existing scientific, rational world. In fact, as the demons provided on the ship tell us, the senses (auditory, visual) can be chalked up to hallucination, despite that the mind knows that your ailing child is not standing in front of you or that releasing an air lock will result in your body being turned inside out. It effectively displaces the physical world by sowing the seeds of distrust in that which we take for granted: the empirical senses, which have, up until this point, been the basis of reality. The result is that the dark spiritual beats down the scientific and brings it to a point of physical pain as the ticket of admission to join it. And join Weir does. Couple from hell, party of two. In the end, science loses to myth because it only functions as a key – it is the myth and all of its dark impulses that control the gateway once opened, while science is the vehicle on which it either rides or manipulates into doing its bidding, eventually coming to distrust the proven sensory perceptions in favor of less-proven gut feelings. We don’t like what we see once this gateway is opened: it is physically painful, it is emotionally manipulative, and it leaves no one alive in the end. What we take away from Event Horizon is a fear of exploration: much like the crew members of the Lewis and Clark, we’re left battered and wondering if, round the bend, all that awaits is something we can’t see, making us doubt our perceptions and stripping us of the urge to explore.